The All New, All Daring Delusional Honesty! : Double Shot O' Sketches: Spider-Man & One Of His Forgotten Foes! Double Shot O' Sketches: Spider-Man & One Of His Forgotten Foes! Regular blog entries will resume as early as tomorrow if this cold doesn't keep me down. Meantime, I have two sketches for you! Both inspired by events from the fabled "Clone Saga" (soon to be discussed on an upcoming Spectacular Spider-Cast)! 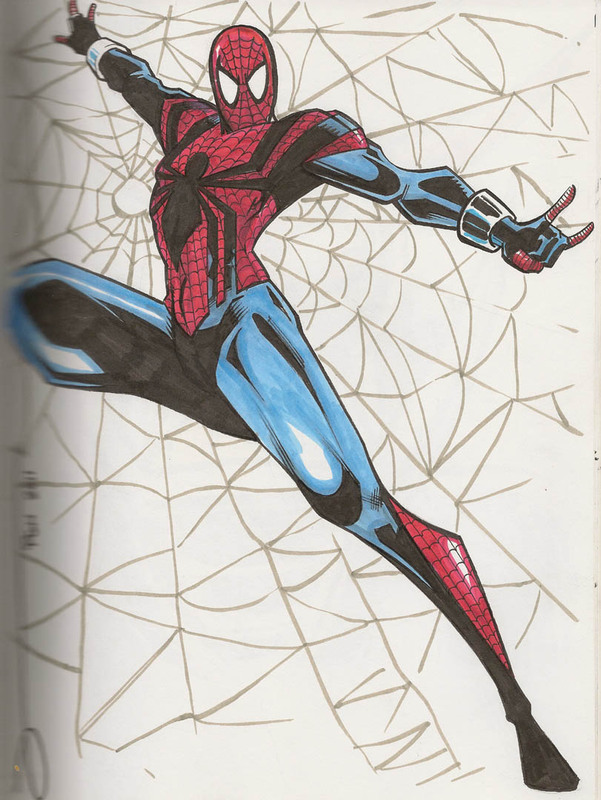 First up: Rob Jones draws Ben Reilly, the amazing Spider-Man! From Pittsburgh Comicon 2011. Next up is a forgotten Spidey villain from the same era. 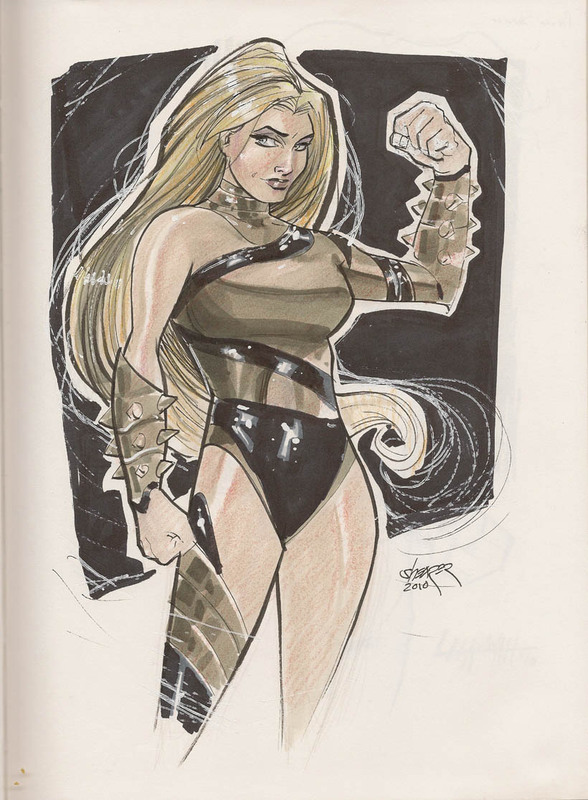 From New York Comic-Con 2010, here's artist Brian Shearer's take on Doc Ock's very own muscle goddess, Stunner! Brian can be found online at the GravyBoy website. From there, you can see his comic projects including Vex and Deputy Witch as well as see if he's got any commission spots open. Well worth it!